As you may have already noticed, I get on these personal food fads. In other words, I seem to focus on a particular type of food for a period of time, then get bored and eventually moving on - much like Tiger Woods and his women. Um... Bad analogy. 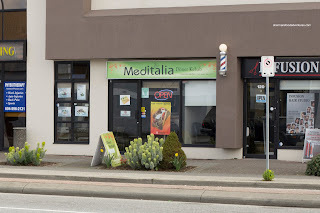 Viv, you didn't just read that... Anyways, after my great experience at Donair Affair (how ironic of the name... uh...), I decided to try out Meditalia Gourmet Kitchen. Sure, they serve Gyros here, not Donairs, but you get the idea. 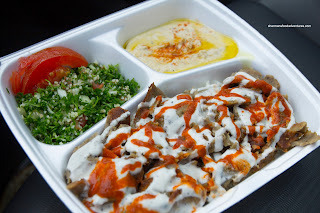 Much like last time, I picked up a Lamb & Beef Plate consisting of meat doused with plenty of sauce atop chewy rice. Completing the order was hummus and tabbouleh salad. I found the chicken a bit dry but the liberal amount of sauce helped matters. The hummus was quite good being smooth and flavourful with hints of garlic and a good amount of olive oil. I wasn't so fond of the cold, right-out-of-the bag pita bread though. I picked up a Chicken Gyro as well and the darn thing was massive. Yes, more massive than usual. Lots of crisp produce doused in the same tzatziki and hot sauce. The chicken was a touch dry, but it didn't make or break the gyro. 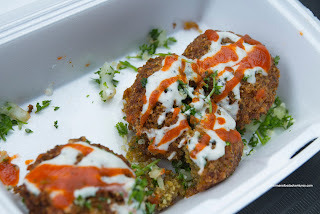 Lastly, I got 3 Falafels which were pretty forgettable. Due to being prepared in advance and sitting in a warming tray, then reheated, they were soggy and not at all crispy on the outside. But despite this, the rest of the food was decent and well-priced. The nice people who run the place add to the positives as well. 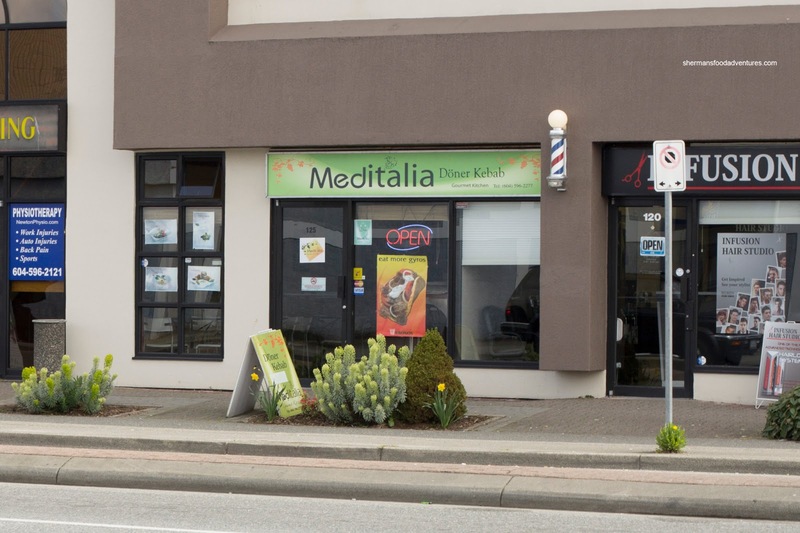 I personally prefer Donair Affair more, but if I'm in Newton again, Meditalia is a viable option. 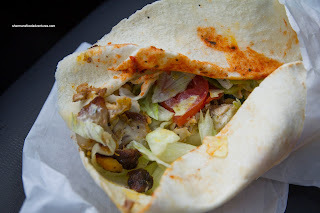 Have you tried Doner Kebab on 4th, by Zulu Records? They make their falafel on site. If you go, I recommend asking for a half falafel/half chicken plate.